We received these questions about strata voting rules for proxy voting from lot owners in SA. Information concerning this topic has been supplied by Alice Rogers-Ross and Tyson D’Sylva, Ace Body Corporate Management. Question: When voting on change of strata management at the AGM, how can the strata manager vote with their proxies to keep his contract? Surely this is a conflict. I am on the committee at a community strata estate consisting of 151 lots. We are about to hold our AGM and on the agenda is changing strata management. Some lot owners have given their proxy to the strata manager. Can the strata manager vote with the power of the proxies to keep his contract? In my mind, he should not be able to vote due to self-interest and financial benefit. How do strata voting rules work in this situation? Answer: It is standard practice for managers to abstain from voting unless otherwise advised by the members they are acting on the behalf of. While the Community Titles Ace does not have a provision for body corporate managers acting as a proxy for owners and reappointing themselves, it is standard practice for managers to abstain from voting unless otherwise advised by the members they are acting on the behalf of (because of the reasons you have listed). It may be advisable to check the proxy forms and see if a resolution is listed for reappointment of the manager. If it is, the manager should be voting in the way indicated on the proxy form. It is also recommended that if members are seeking a change in management, they should be consulting with the rest of the corporation’s management committee to ensure a cohesive agreement is reached. Question: I am a member of a strata title and don’t understand the strata voting rules relating to “voting on resolutions by email”. I am a member of a strata title and don’t understand the strata voting rules relating to “voting on resolutions by email”. We have recently been asked to vote on a resolution via email communication each way and I believe the outcome to be flawed. Whilst only 1 vote against the motion was recorded, I have been told by other members that at least 2 NO votes were cast and another members “no vote by email” was not received. Please help me understand the “email” communication rules and point me to the parts of the act that clarify them. We are a community of only 8 households and I believe we have been hoodwinked into accepting an unpopular motion via the Executive Committee consisting of only 1 person acting as chairman, vice-chairman and secretary. I am in the dark concerning the strata voting rules and procedure to be followed by the Strata Management Company concerning the procedure to be followed by them when moving a motion developed by the Executive Committee of One and then calling for a vote on the motion by all the unitholders via Email. In this case, there was no opportunity provided for the members to discuss the matter. One member’s “no vote” was misinterpreted as a yes or abstention vote and another members “no vote” was not recorded because of an electronic problem with their email response. Can motions and votes be conducted via email only? What is the procedure, in terms of the Act that must be followed by the Executive Committee, the Strata Title Management Company and the unit members? Does the same rule apply for both Strata Title and Community Title? Answer: Any motions should be voted on at a general meeting of the corporation or through a management committee which has been delegate appropriate powers to make decisions on behalf of the owners. It appears that the owners are being asked to make a decision via email and I assume it is a community corporation and under the Community Titles Act. Any motions should be voted on at a general meeting of the corporation or through a management committee which has been delegate appropriate powers to make decisions on behalf of the owners. If the corporation has not formed a management committee nor constituted a general meeting as per section 81 of the Community Title Act and given the required 14 days written notice to each owner stating time, date, venue and motions, then no votes should be counted as the decisions were not made in accordance with the legislation. Depending on the motions a special general meeting should be called with proper motions and all owners informed so they can attend and discuss and a vote be counted. If owners cannot attend in person, a proxy form with their instructions/ decision can be posted or emailed to the secretary, so it can be tabled at the general meeting of the corporation. The same rules will apply for both Strata Title and Community Title regarding the time frame and the need to have a meeting to approve motions. Please refer to Strata Titles Act 1988 – Division 5 Section 33. Question: What are the regulations or guidelines with regards to how a Strata Manager should use his proxy votes at AGMs when he holds a lot owner’s proxy? I am wondering if you could please help me with a question regarding voting at an AGM. Could you let me know what regulations or guidelines there are with regards to how a Strata Manager should use his vote when he holds a lot owner’s proxy? For example, if the Strata Manager can use three votes held as a proxy to vote against the majority with relation to the appointment a representative of Unit to the committee. Prior to their three proxy votes, the vote status stood as 11 against and 9 for. Answer: When a strata manager holds the proxy for an owner at an AGM or at any General Meeting, the manager should cast their proxy votes as per the instructions provided by the owner. When a strata manager holds the proxy for an owner at an AGM or at any General Meeting, the manager should cast their proxy votes as per the instructions provided by the owner. If no instructions have been provided, this makes it difficult for the manager to vote as there could be a conflict of interest here and I would have to say the best practice guideline would be to abstain. Technically, a proxy has the right to vote as if they were the owner. It may pay to do some groundwork before the meeting so proxies can be directed to more appropriate persons or make sure your proxy has a more detailed way of voting so better instructions can be received. 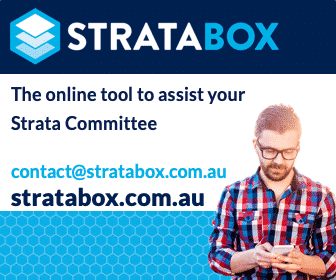 Are you interested in more information about strata voting via email or information particular to strata legislation in SA? Visit Committee Concerns OR Strata Legislation SA pages. We gave our strata manager our proxie votes, as we had to go to work. We shouldn’t have to give a paid work up to attend any meeting. (yes it was no to all the motions the building manager/caretakers and Secretary wanted in). When we received the minutes 2 weeks later, he said he couldn’t use our votes as he had other owners votes. Yet our two votes would off not allowed the motion to be approved. He also said we should off nominated another owner to hold our proxies, yet he and the secretary asked owners to inform them whom was attending so they can give owners votes to hold. But they didn’t pass our proxies on to any other owner. We were horrified to find out our votes were declined. We are financial. We feel it was rigged as our 2 votes would have stopped the motions. Thanks for your comment. It appears from what you have written that you sent your proxy into the manager with your votes to be tabled at the meeting and they weren’t. Is this correct? Well, if this is the case and you were financial at this meeting, then you should be addressing this with your Strata Management Company, as the manager has not performed their task which is to table your votes in accordance with your proxy. There is not much more we can suggest you do, however, we hope you are able to resolve this matter. We sent the strata manager an email asking why our votes were rejected, he said we had not given him other owners names to hold our proxies. It was the owners Corporations strata manager company whom the owners Corp employ and runs the meetings along with the secretary, we followed their directions and gave our votes to the strata manager of our complex. the secretary sent an email of the agenda and motions and for owners whom cannot attend to send their proxies to the secretary or to the strata manager (not the building manager/caretaker) and they said if you are an financial owner to send your proxies to the strata manager or the Secretary and they will let owners know whom can hold their proxies, we did as they asked. But when we recieved the minutes the secretary wrote in the minutes that our 2 votes weren’t able to be used as the strata manager had held too many proxies ie for other owners. And we didn’t write another owners name down, we don’t know the other owners or whether they are financial or not. Those other proxies that our strat manager held weren’t against the motion but ours was. They pick and choose whose votes to use. This is grossly unfair. Our 2 votes would have stopped what they wanted changed. They have ignored us paying owners.